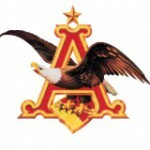 Anheuser Busch is an owned subsidiary of Anheuser Busch InBev which produces beverages. The Anheuser Bush Company was founded in 1852 and its headquarters is situated in St. Louis, United States. The American based company has 13 breweries located in United States. The products of the company include beer, malt beverages, energy drinks, cider products, and bottled water. The company products are available in Boston, Colorado, Oahu, Hawaii, Louisville, Kentucky, Massachusetts, Canton, Ohio, Denver, New York, New York, Pomona, Riverside, San Diego, and Los Angeles, California, Tulsa, and Oklahoma. The company also manufactures aluminum can and also recycles it. There are currently 0 consumer reviews about Anheuser-Busch available. Share your review. Please take a note that you are about to post a public review about Anheuser-Busch corporate office on CorporateOffice.com. This review will be public, so please do not post any of your personal information on this website. If you would like to contact the corporate offices of Anheuser-Busch, please use their contact information such as their phone number, website, and address listed above to contact them. However, sometimes staff from Anheuser-Busch headquarters do read the reviews on this website.